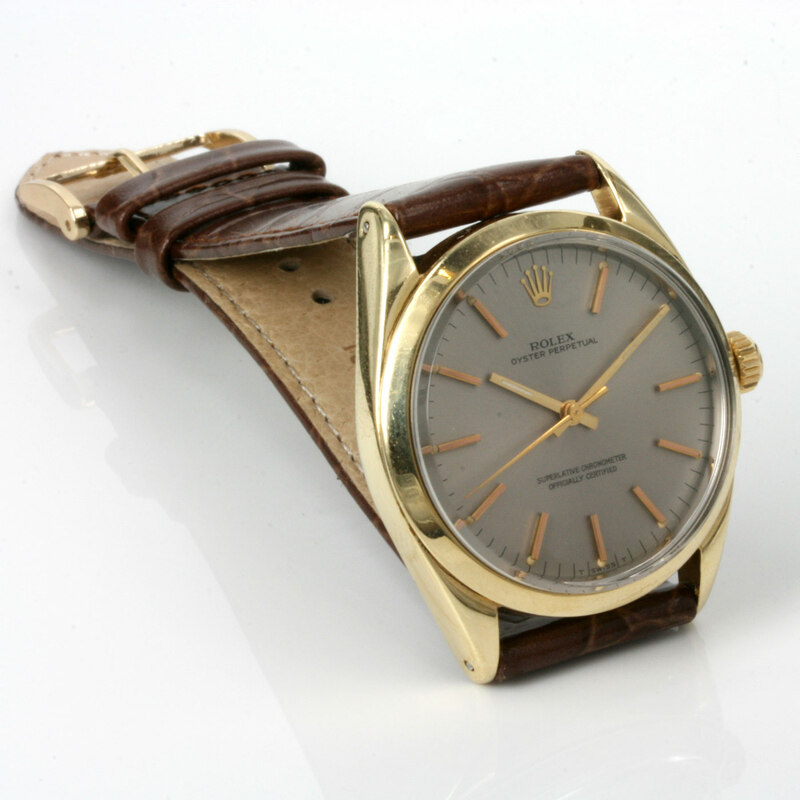 Product code: Q374cc Categories: Sold Items, Sold Rolex Watches. 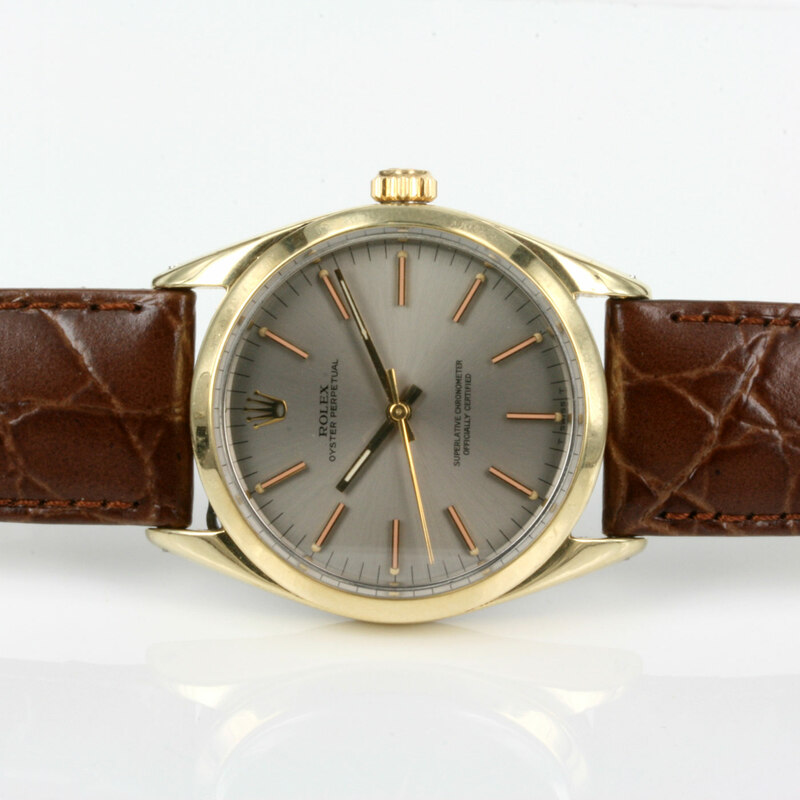 There is nothing quite like a vintage watch on your wrist and there is nothing quite like a vintage Rolex that both looks and feels so smart on the wrist and will always be appreciated and admired such as this classic vintage Rolex Oyster Perpetual model 1024 dating from 1969. 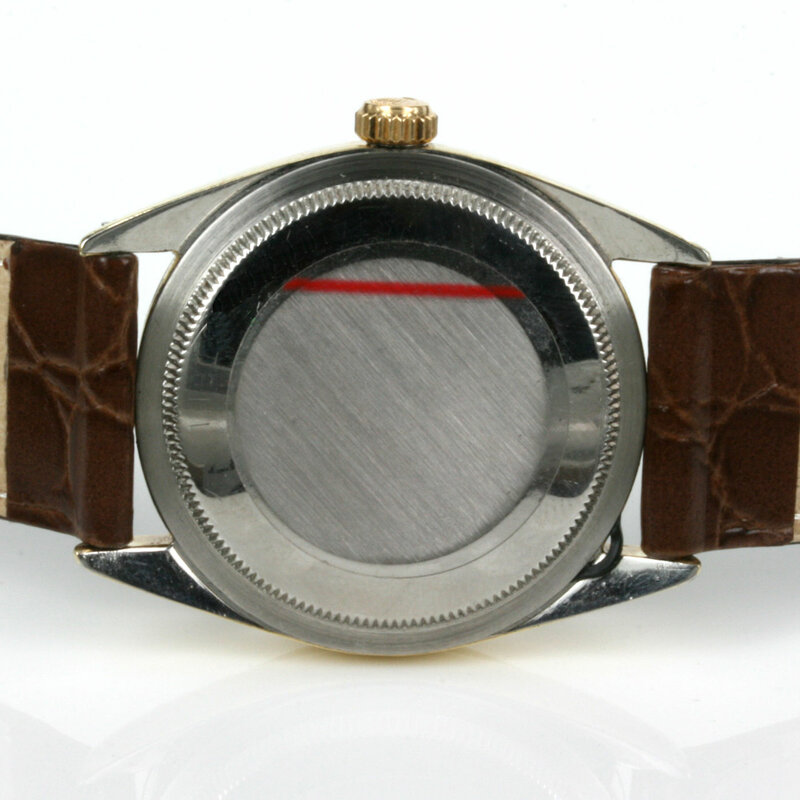 This vintage Rolex is in superb condition and is fitted with a slate grey dial, index markers and the centre sweep second hand and looks so smart and clean and is so easy to read. 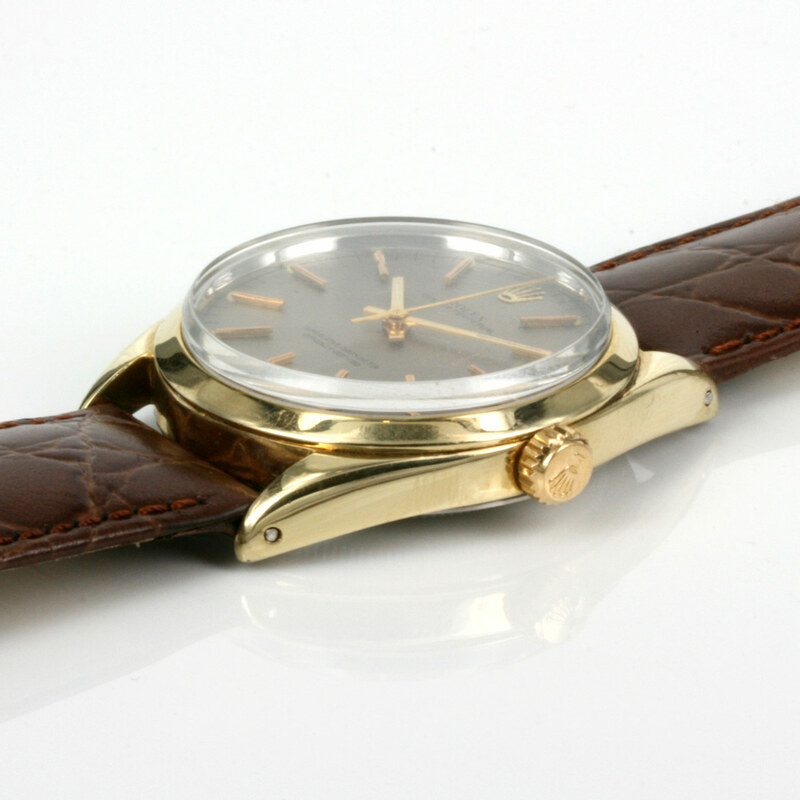 Vintage Rolex watches are always so popular and this is a great example of a vintage Rolex watch that can so easy be worn to both formal and informal occasions and always look so good. 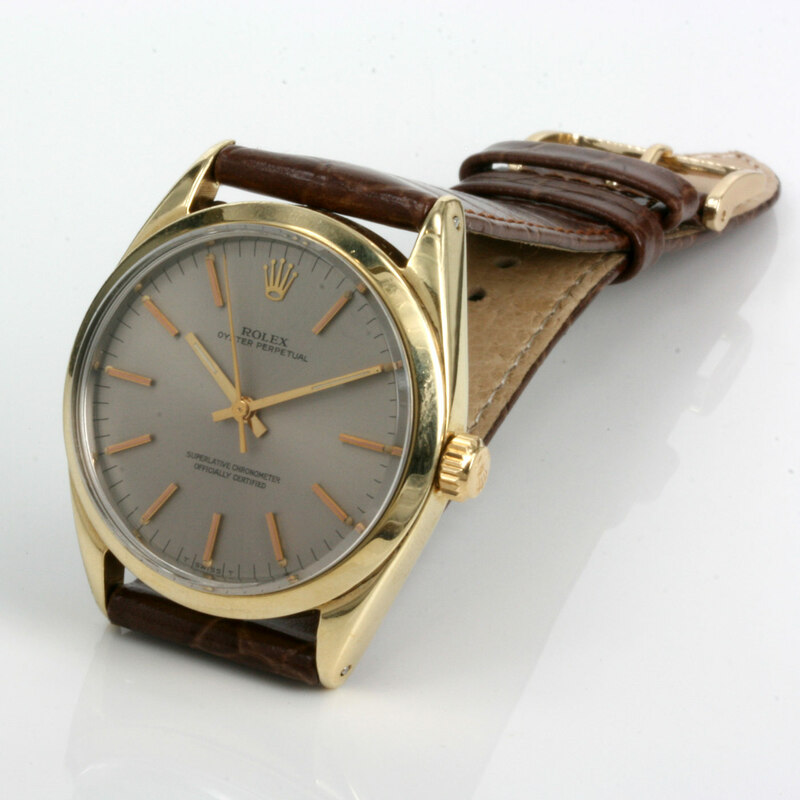 The Rolex case is gold capped and in excellent condition and measures 34mm across plus the screw down Rolex crown. Inside the Rolex is powered by a 26 jewelled fully automatic Rolex calibre 1570 that keeps perfect time and comes with our one year warranty. 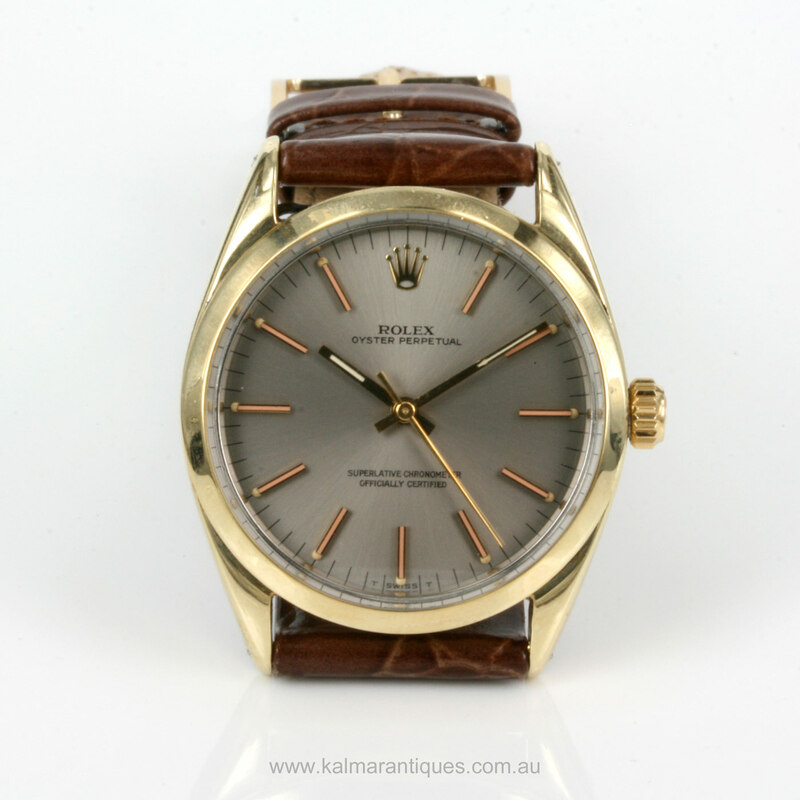 This is such a great vintage Rolex Oyster Perpetual watch dating from 1969 that will look so good on anyone’s wrist for anytime of the day or night, and has the right look for a classic Rolex watch.